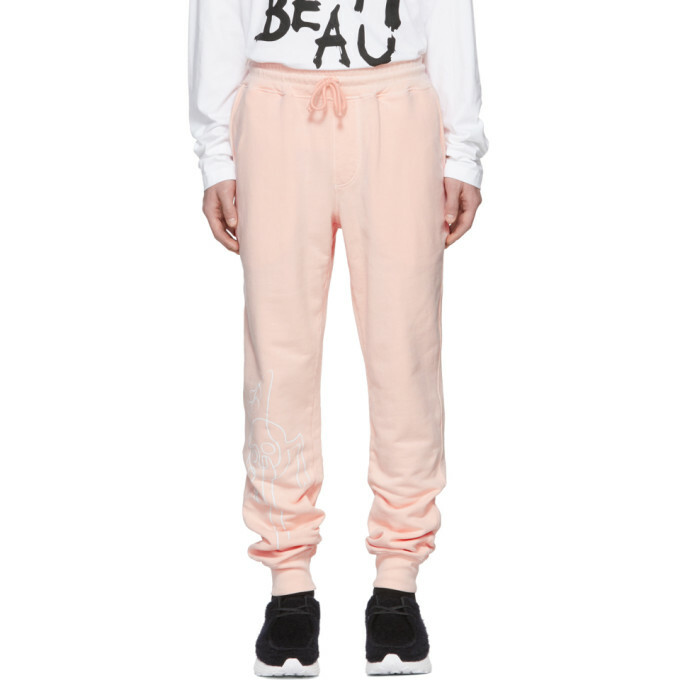 Rochambeau Pink Core Jogger Lounge Pants $162.00 Relaxed fit French terry lounge pants in salt pink. Mid rise. Drawstring at elasticized waistband. Three pocket styling. Graphic printed in white at front. Rib knit cuffs. Tonal stitching.